Do you know that the rice that we serve in our plates are actually seeds of a grass that comes from the species Oryza. This cereal grain is the most widely consumed staple food in the world especially in Asia and the most important grain as far as human nutrition and calorie intake is concerned. Since its early cultivation in the Pearl Valley of Ancient China, its consumption has spread throughout the Asian continent and eventually the world. There are many varieties of rice where the culinary preference tends to vary regionally. Some prefer the softer and stickier variety like the ones you eat in Japan and Vietnam while others want it slightly dry for a longer digestive period. Rice can also come in many colors, shapes and sizes where the most special variety has a long, white, whole grain characteristic. For the health conscious, brown rice is more preferred than polished white rice as it contains more nutrients. Regardless of type and variety, there is one thing in common about rice: you need to cook it. 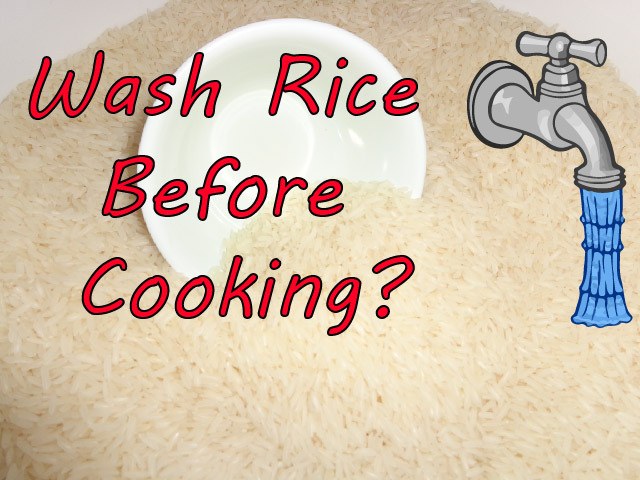 Rinsing is the first step in cooking rice. But why do you need to wash it? When rice is harvested, it does not look similar to what is being served on your plate as it still has its grain cover sheet called bran. It then undergoes a milling process where the actual rice grain is separated from the covering sheet. There may be some impurities during the process like dust, sand and the like which is the main reason why you need to rinse. But rinsing alone varies per region. In the US, rinsing is only done once as the rice is fortified with vitamins and minerals. 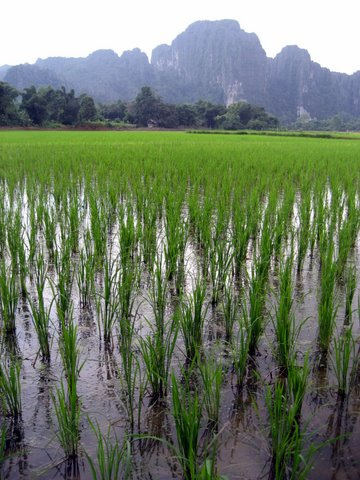 Naturally grown rice may need repeated washing to improve the texture and taste. But on the average, rinsing it twice is the preferred method as it does not result in total loss of nutrients while providing a clean and clear water for boiling. The easiest way to cook rice is the use of a rice cooker. Just pour the desired amount of rice, rinse, add water to the indicated water level, plug it to the socket then push the button on. Wait for 30 to 45 minutes, then you have a newly cooked hot steaming rice. Note* - If you are having trouble in picking a rice please follow this link to our rice cooker article to help understand the different types. But what if you do not have a rice cooker, or perhaps you are on the outdoors. The answer is the use of a conventional or portable stove. With the use of a cooking pot, particularly a calderon cookware, pour the desired amount of rice and rinse. Since there is no water mark level in the calderon, the trick is to place your middle finger, add water until it reaches the first mark of your middle finger. Turn on your stove and place it on maximum fire. Once it is boiling, open the cover of the calderon and lower the fire until water has evaporated. After which, close back the cover and adjust the fire to its minimum for another 10 minutes. The expansion and rising of the rice is an indication that it is already cooked. You should take note that long grain rice tends to remain intact after cooking, medium grain rice tends to be sticky and short grain rice are stickier which makes it perfect for sushi and rice pudding. But no matter what your culinary preference, the secret in enjoying this Asian staple food is that it is best served while being hot.